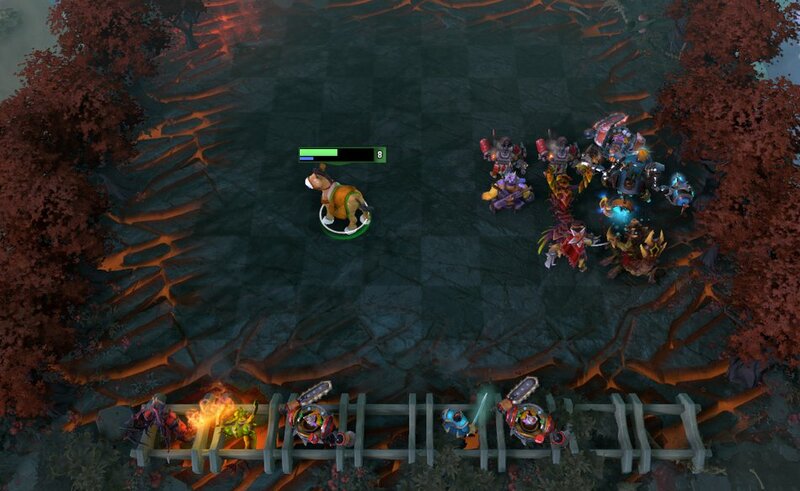 The goal of this Dota Auto Chess guide is to get yourself (or your friends) up to speed if you haven’t played the game before. It’s fun and very simple to get into, yet it has a lot of strategic depth if you want to dig deeper and it could get pretty addictive. I’ll cover the basic concepts, mechanics, and strategies to get you off to a good start. If you are an experienced player, maybe our collection of in-depth Auto Chess strategy guides will be more interesting to you. The goal of the game is to be the last man standing. There are rounds, in which your units fight against creeps or the units of other players. You lose HP for every enemy unit left alive (the stronger the unit, the more HP you lose). In-between rounds, there is a 30-second strategy phase in which you can buy new heroes and manage your army. You have a population (chess) limit, so the best way to make your army stronger is to upgrade your heroes. Three lvl1 (one star) units combine into a lvl2 unit (two stars). Three lvl2 units combine into a lvl3 unit (three stars). Higher level units are, obviously, more powerful and have the huge benefit of occupying only one slot on the board. This means three lvl1 heroes count as 3 units towards your population limit, while 1 lvl2 hero counts as 1. The best way to earn gold, on theory, would be to be on a very long win streak while also saving up gold for interest. This, of course, is hard to do. The worst scenario isn’t to lose a lot – it is to alternate between winning and losing each round. In that sense, if you are struggling, going on a losing streak could be done on purpose so that you will be able to recover economically and win in the later rounds. This is more costly to do the later the game goes because opponents have more units and you would lose more HP. This strat is called “selling your blood”. Interest: In the early game interest is insignificant, but in the mid-late game, you might want to consider saving up some gold to increase your overall income. It is a common strat to try to get to 50 gold after you are lvl6-7 (in the mid game), in order to prepare economically for the late game. Selling: lvl1 units are sold for full price, so buy pieces that you want to upgrade later on even if you are not using them to fight. You can always sell them off if they become useless because you change your strat. You have 8 reserve slots to store units you don’t currently use in battle. Usually, you want to keep units there that would help you upgrade your current fighting heroes. You can lock it if you want a unit in the shop but don’t have the money. Remember to unlock it next round. You can also refresh the shop to search for your desired units, but it is expensive. Doing it too much in the early game will cripple you. Fixed number of each hero available in a game: When someone in your game has a lot of some heroes, you are less likely to get those heroes in your shop. This means it is smart to take a quick look around the board and to try to upgrade units your opponents don’t have. When a player dies, his units get recycled back to the shop. Price: heroes that cost more gold are more powerful and rarer – there are only 6 heroes that cost 5 Gold, with a limited stock of 10 units for each. More expensive heroes get combined/upgraded the same way as less expensive ones. Heroes have synergy on three levels: Species, Class, and Abilities. Species: Having (2) Orcs on the board will increase their HP by 200. Having (4) will increase their HP by an additional 300. Class: Having (3) Warriors on the board will increase their armor by 7. Having (6) – by an additional 8. Having (9) - by an additional 9. The simplest strategies would be to stack one of the same thing (usually class). Going too far in one direction, however, has drawbacks. For example, having a lot of warriors is an easy way to build a powerful army. However, Warriors stack armor. This makes them very vulnerable to Mages, who deal magic, not physical damage. At the same time, Mages are vulnerable to Assassins (because they reach them very fast on the battlefield and deal high damage), while Assassins are vulnerable to Warriors because of their high HP and armor, etc. Because of this, to build a potent strategy you usually want to combine a few (but not too many to keep the synergy) different species and/or classes that complement each other. E.g. your squishy Mages might want three Warriors on the frontline to buy them time. If two of said Warriors are Orcs, they would have not only more armor but also more HP. Ability synergy is a bit more complicated. Like in Dota, some abilities work well in combination with others. A great example is CM’s aura combined with other mages (and heroes with generally strong abilities). In Auto Chess units start with 0 mana. This means they need the mana regen desperately to cast their spells fast enough. A mage strat is very hard to make work without CM in the late game. Easy and reliable, but if you don’t diversify with something synergistic in the mid-late game you’d have difficulty reaching top 3. Diversifying with ranged damage dealers is the best option since almost all Warriors are melee. Expensive to upgrade, but quite powerful. To be successful, you would have to play the economy game – save up money early on to earn interest in order to be able to afford the upgrades later on. Abaddon is one of the most powerful tanks in the game, while Luna is one of the most powerful damage dealers. Give Luna DPS items and she can carry you to victory. If you have Abaddon, get a second Undead unit to gain the powerful (2) Undead bonus. The ad above supports dotahaven.com. Thank you for not using AdBlock! The opposite of Knights – they are very easy to upgrade (unless other players are also buying Druids, which isn’t uncommon). Their units are quite strong even individually – the heal of Enchantress can benefit any strategy, while Furion’s summons are very powerful in the early-mid game. The Druid lineup has units and heals, but lacks great damage dealers, so you might want to get some of those in the mid-late game. Unlike the examples above, this strategy has synergy both on the Species and Class levels. (2) Mechs give 10 HP regen to all friendly Mechs, while (3) Goblins give 15 armor and 10 HP regeneration to a random Goblin. This makes your army very durable from early on is arguably the strongest opening strategy. Mechs, however, lack powerful damage dealers (with the exception of Techies in the late game), so it's a good idea to diversify into damage-dealing classes in the mid-late game. Once gain, if you want to explore more Auto Chess strategies in-depth check out our DAC guide collection. Place squishier damage dealers on the back lines, tanks on the front lines. If you have an aggressive melee lineup (e.g. warriors) place them closer to the enemy half. If you have a defensive, squishier lineup (e.g. mages), place them in a corner, further away from enemy units. Above: relatively standard board placement with tanks front/left and damage dealers bottom/right. The main damage dealer in this situation (the lvl3 Tinker) is in the hardest to reach position for the enemy team. Later in the game, when you are fighting only one or two opponents for the top spot, pay close attention to how they are arranging their own chess board. For example, if you want to engage faster, put your units as close as possible opposite the enemy units. And if you are facing powerful AoE spells, you might want to split up your units (e.g. into two groups, or even spread them out on the board) so that fewer of them are hit from the AoE. Managing to bait the enemy Tide Hunter to the side to use his Ravage only on 2-3 of your heroes could win you the battle. Items drop only from creep rounds: round 1, 2, 3, 5, and every other 5th round (10, 15, 20, etc.). Like in Dota, items combine into more powerful items. 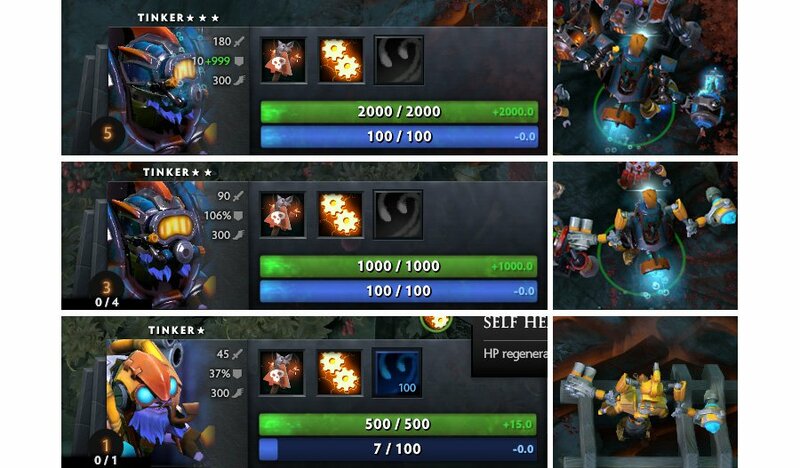 Auto Chess preserves most of Dota’s upgrades. The main difference is that to combine an item you don’t need to buy a recipe. Distribute the items you get strategically – survivability items on frontline tanks, DPS items on damage dealers, mana/caster items on mages, etc. You can get an item back from a hero only if you sell the hero. If you don’t have an appropriate hero to give an item to, you can simply keep the item on the ground until you buy an appropriate hero. Once a player dies, some of his items get distributed (randomly) among other players. Thanks for reading! I hope you found the article useful and you'll have a lot of fun and success playing Auto Chess! 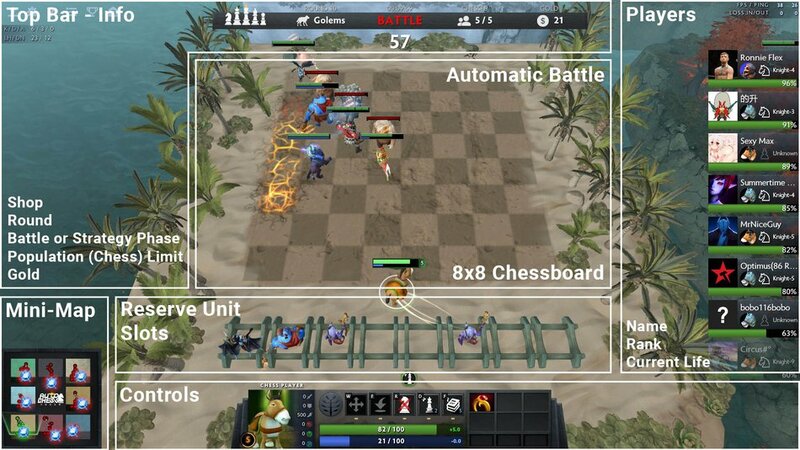 If you're interested in more Auto Chess content, we have a chronological Auto Chess strategy guide as well as a Positioning Guide.